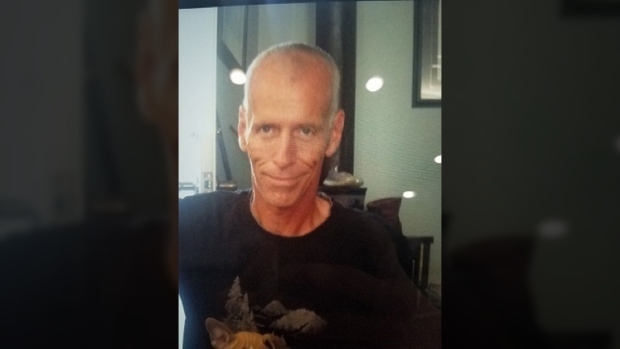 A man reported missing in Surrey has made his way to Courtenay, and investigators are asking the public to keep an eye out for him. Stephen Mapes, 58, was reported missing to Surrey RCMP on Tuesday. Mounties said he was last seen on March 24 on a Surrey street and has not been seen or heard from since. On Thursday, the investigation was handed over to Comox Valley RCMP after police determined that Mapes travelled to Courtenay and could be camping in the area. "Stephen's family and police are concerned for his well-being as it is out of character for him to be out of touch for this long," Comox Valley RCMP said in a statement. Mapes is described as a white man standing six feet tall with a slim build, short grey hair and blue eyes. He may be driving a black Ford F-150 pickup truck with B.C. licence plate DOGRVR. Anyone who sees him is asked to call RCMP at 250-338-1321 or Crime Stoppers at 1-800-222-8477.